An electronic toll collection system is expected to be installed completely by the end of 2018 and to modernize pay toll collection along Corridor 10, the head of the Public Enterprise for State Roads (PESR) has said. Launched in 2014, the electronic toll collection system initially was supposed to be inaugurated last year. It envisaged the modernization of tollbooths near Romanovce, Petrovec, Sopot, Otovica and Gradsko and two new ones to be built. The project is estimated at EUR 18.7 million with 15 million being provided through the European Bank for Reconstruction and Development (EBRD) and the rest from the national budget Zoran Kitanov tells MIA. Of those, only the Romanovce tollbooth has been completed. The newly-appointed director of the state road enterprise says that only recently he has issued permits for construction of the remaining tollbooths after the former administration had failed to do so in the course of two years. 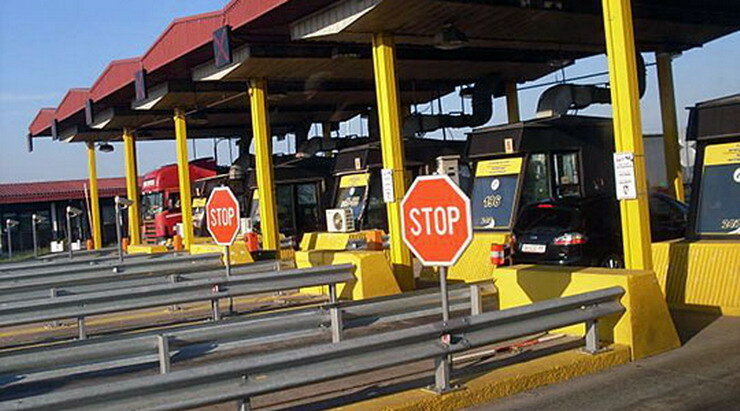 "Now, construction works are underway for the toll payment stations in Petrovec, Sopot, Otovica and Gradsko. Depending on the dynamic of construction activities, the project could be wrapped up by late 2018," says Kitanov. The tollbooth near Romanovce in northern Macedonia, he elaborates, cannot be inaugurated at this stage even though it has been finished. "We have to wait for the contractor, the company Aselsan from Turkey, to adjust the software by including an option for cash payments in a transition phase, from paying with cash to full electronic toll collection. This hadn't been even taken into consideration while the project was being conceived," Kitanov says. The system offers two alternatives for payment - by buying a pre-paid or post-paid device with which vehicles will not have to make a stop at at tollbooths. According to him, the new electronic payment system is designed to save the citizens money and time. "For example, those using pre-paid cards will pay 10% less than what is being paid right now," Kitanov notes.